ATMAC was tasked with installing new HVAC and plumbing systems to the existing Sam Houston High School while classes remained in session. This required ATMAC to schedule jobs to be completed in phases, either when the school was closed (in the evenings and on weekends) or in cornered-off areas with a focus on avoiding disruption to existing HVAC and plumbing systems. 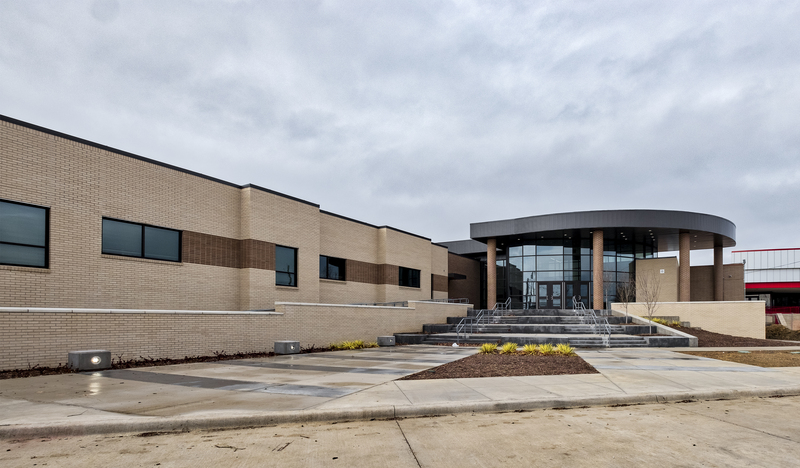 ATMAC coordinated HVAC and plumbing work with Pogue Construction to best accommodate the school district’s needs. 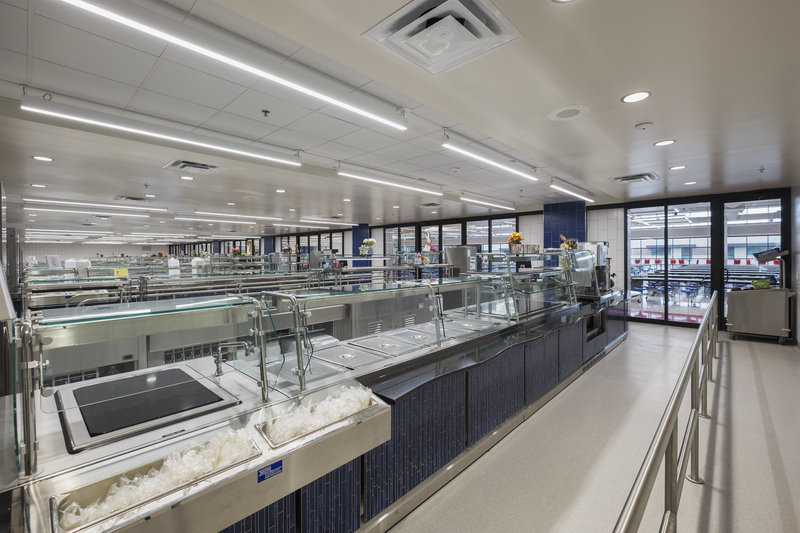 ATMAC’s HVAC portion of the project focused largely on the new kitchen and cafeteria areas, and some classroom sites, requiring a changeout of existing multizone units and air handlers to rooftop units and a conversion from chillers, and accommodating the new cloud ceiling. Multiple stainless steel side slab hoods required welding of exhaust ducts, which was unique to Sam Houston High School’s upgraded kitchen. This produced an exposed industrial look that earned ATMAC praise for its contribution to the construction project’s overall aesthetic goals. The total HVAC and plumbing budget for the Sam Houston High School project was $5.6 million. The project commenced January 2017 and overall construction was completed in May 2018. Sam Houston High School services nearly 4,000 students in grades nine through twelve.